Bespoke manufacturer Pagani Automobili was launched in 1993 and has proved itself to be hugely successful managing to outshine even the most established supercar manufacturers. 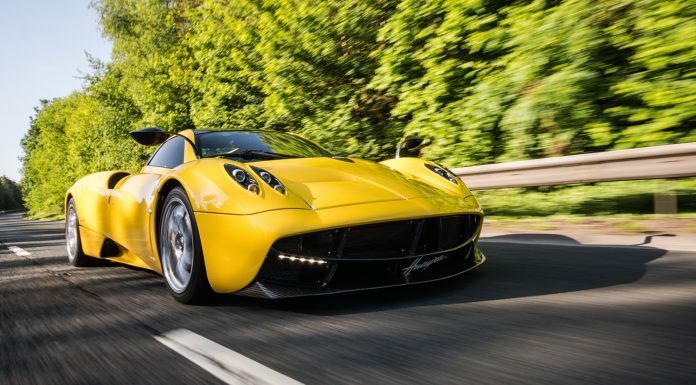 The Pagani Huayra, the successor to the mighty Zonda, has now sold out and all 100-build slots have been accounted for. In the past few years Pagani has flourished in the American, Asian and Middle Eastern markets and now Pagani have acknowledged the importance of the European market and its potential as well as current owners. 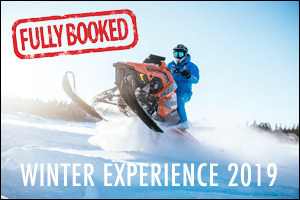 As a result, they have recently injected a large investment into setting up a London based showroom to service these customers. Francis Falconer, Pagani’s Head of European Sales, told us that “The new facility in London will allow us a great opportunity to provide the very best service to our clients on both the sales and after sales fronts. It is our aim, that Pagani UK will be able to offer an excellent level of service to our UK customers, with the full support of our colleagues in Italy.” GTspirit were given the very first opportunity to work with the Pagani UK team, and as you will see and read, it was something very special indeed. 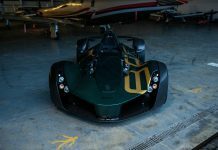 GTspirit have been fortunate enough to test a spattering of the world’s most exclusive, valuable and fastest cars to have been produced. From the Ferrari Enzo to the McLaren F1 and the hybrid Hypercars in between, each has left a unique impression upon us. 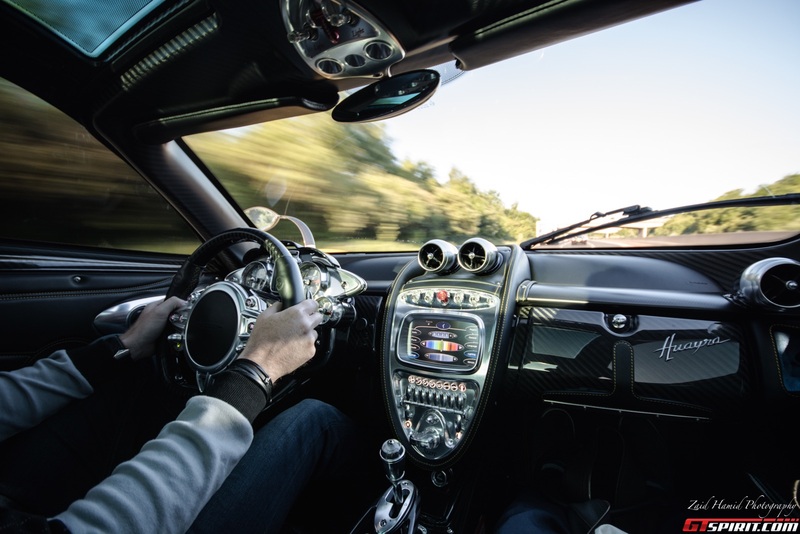 This is by no means our first contact with the Pagani Huayra, we have done a full and thorough road test and photographed a number of examples, but we still struggled to sleep the night before, in eager anticipation and sheer excitement of being able to once again spend some time with the engineering marvel that is the Pagani Huayra. 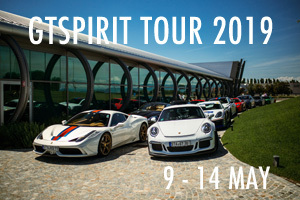 With our up and coming European roadtrip just days away, we opted to keep our entrance to the annual Wilton Classic and Supercar 2015 event fairly subtle, but a call from Pagani UK a couple of days prior to the event well and truly abolished that idea. 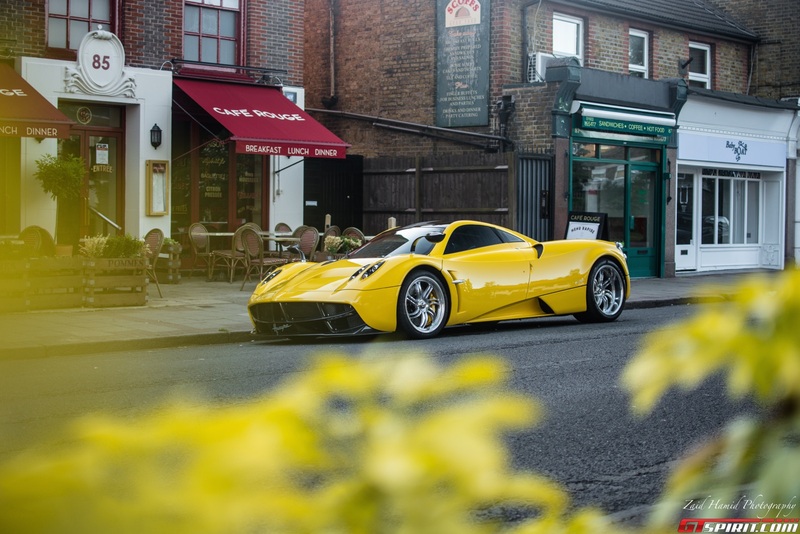 We we’re set to join the gorgeous yellow Huayra you see photographed here, on the 100 mile road to Sailsbury, it was certainly a journey to remember. As we mentioned, we had a sleepless night, our chances of drifting away to dream land were already set to be slim seeing as we would have to wake at 2am to meet the car many miles away in the footballers favorite town of Weybridge. It was close to 5am and the sun was peeking over the horizon, we sat shivering patiently on a bench waiting for our subject of the day to break the eerie brittle silence around the deserted streets. A packet of Jammy Dodgers later, a yellow spec appeared in the distance. We could barely make out the car but could already hear it’s turbochargers sucking and whooshing frantically. It was time to get to work. 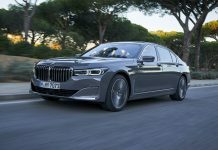 We had seen the car in pictures when it had been spotted on the streets of Knightsbridge as our lucky driver drove home a few nights ago, but nothing could prepare your eye balls for the paint finish in the metal. The colour is very flat and there appears to be no metallic flake; it looks delightful. After a few quick snaps, it was time to hit the road as the car had to be at Wilton House by 9am and we had a lot of miles to cover. Flick the delicate door open switch and watch the door float up to reveal the most stunning cabin that we are still yet to see be superseded, as you know, everything is bespoke, hand crafted and designed to be as beautiful and intricate as possible. Drop in and the soft leather molds to your body shape. Pull the doors grab handle, strap yourself in, split the Huayra shaped key in two and insert it into the ignition. The drama of the doors, the key and your surroundings, is only beaten by one thing; the way this car accelerates, the force, the gearshift and the way it piles on speed. Stamp on the brake pedal and the aerodynamic flaps burst into life. 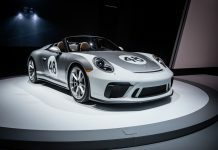 This car is about one thing, the driver and sheer unadulterated emotion. A short blast to the motorway, having woken countless small villages in our wake, and we see another side of this dynamic art form. 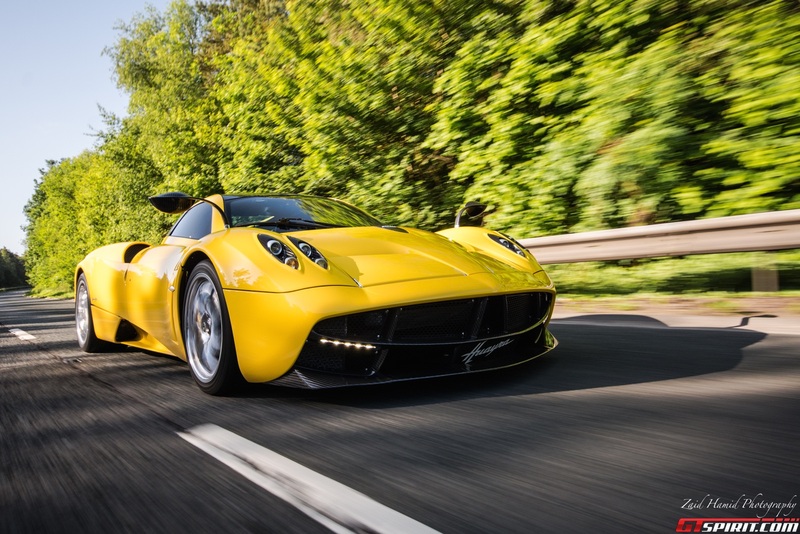 Where the Zonda and all its variants were sharp, pointy, almost nervous, the Huayra shows signs of suppleness, calm and fantastic grand tourer characteristics. Of course, step on the loud pedal and it seems all hell breaks loose, the sensational sounds of the turbos overwhelm you time and time again, but ease off the gas and the Huayra is genuinely usable. 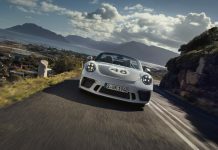 That being said, it is intimidatingly large, squeezing through narrow streets is enough to even make the most experienced driver wince and shriek in fear of a scrape or scratch. After a couple of hours, and a seemingly never ending search for super unleaded, the car that was set to steal the show arrived at Wilton House in the company of dozens of other hypercars. Where the Porsche 918, LaFerrari and McLaren P1 have been present at the majority of shows far and wide in the past few weeks, the Huayra retains its exclusivity and rarity. We’re in car 33 of just 100. 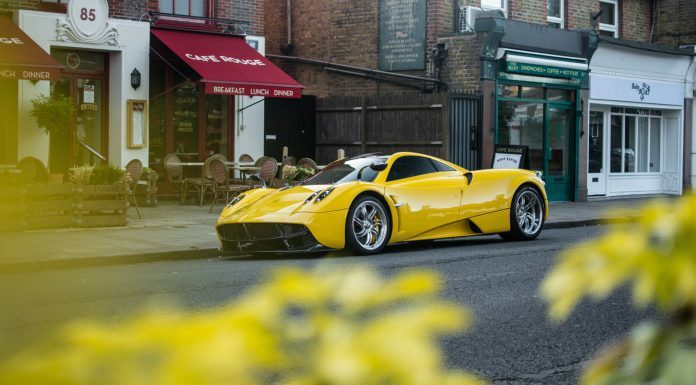 The rarity of the Huayra is reflected in the crowds that it draws, the car has a habit of attracting not only swarms of bugs with its outlandish shade of yellow, but spectators and their cameras too. Dozens and dozens ogle and try to fathom just how the Pagani can create such drama whilst standing stationary before looking into the cabin and being left speechless all over again. 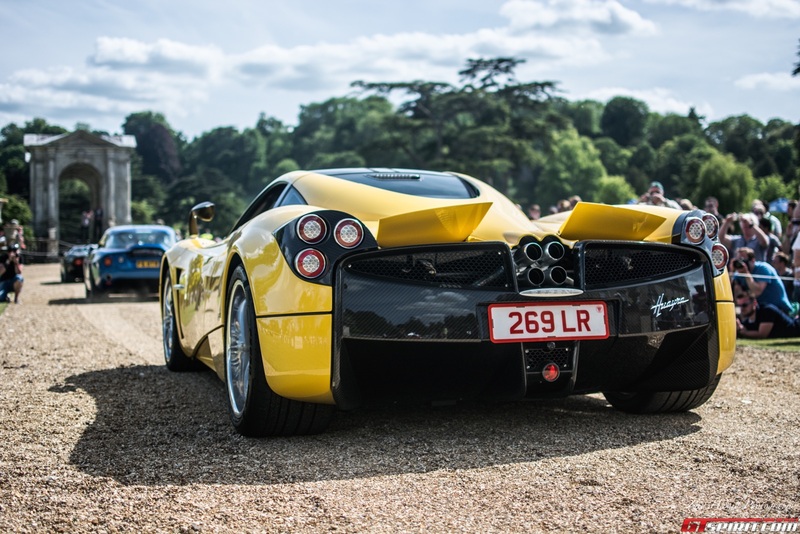 We had been chosen to take the Huayra, which had been titled Buttercup the Pagani by many fans, on the parade around Wilton House and join the exclusive hypercar paddock. 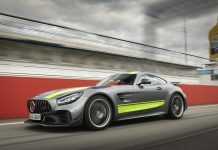 We fired up the 730 horsepower hand-built AMG V12 and joined the parade. Thousands and thousands of adoring petrolheads lined the drive, we ascended the ramp onto the podium upon which the famous Tiff Needell insisted we raise the doors before questioning us on the performance and rarity of the 1,000 newton-meter Pagani. As the shadows lengthened and the sun began to set the show came to a close. The parade out of the manicured lawns of Wilton House provided spectators with quite the spectacle as we cruised out with the Porsche 918, LaFerrari and McLaren P1 in tow, quite the sight indeed and a great way to end a surreal day. 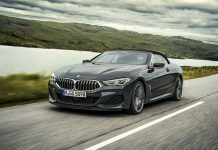 The sleepless nights and yawns were offset by the sheer adrenaline and thrill of spending a day with one of the most desirable cars on the planet. A massive thanks to the newly established Pagani UK team and Francis for inviting GTspirit to be part of such a special day. Pagani UK are in the midst of launching a new London showroom and we eagerly anticipate working with them again in the near future. Stay tuned for our full coverage of Wilton House Classic and Supercar 2015, it was not one to miss!